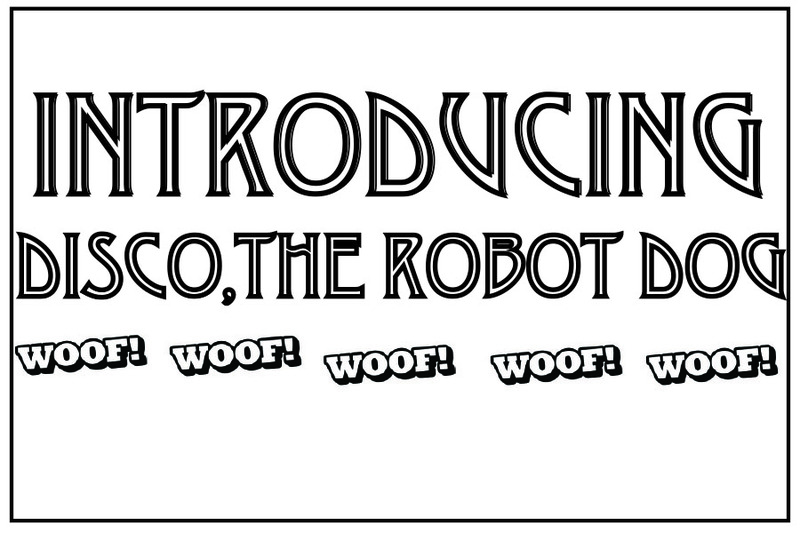 Disco is an Arduino Mega 2560 powered robot dog. 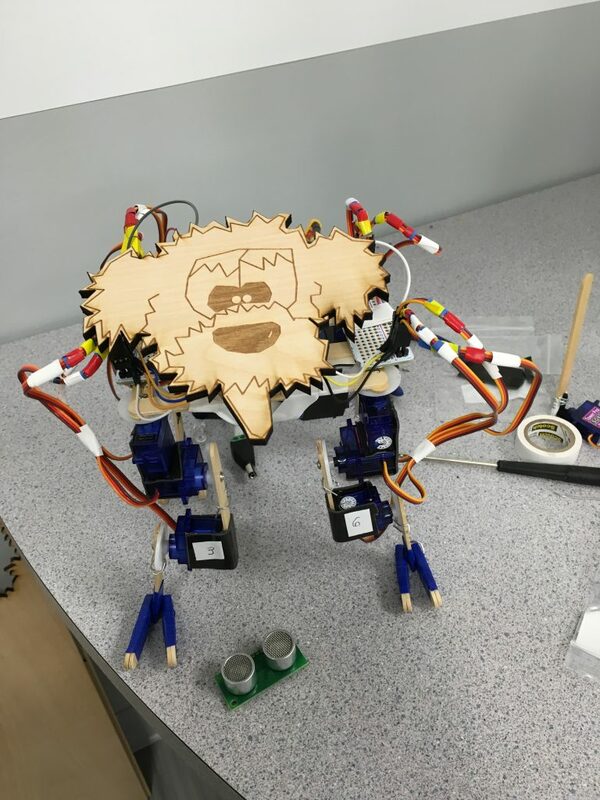 complete with 12 servo motors – 3 per leg, 2 Lithium Ion batteries, 2 circuit boards and a lot of jumper cables. This endearing bionic dog has just learned how to walk, but that is just the beginning of what this pup will be able to do. 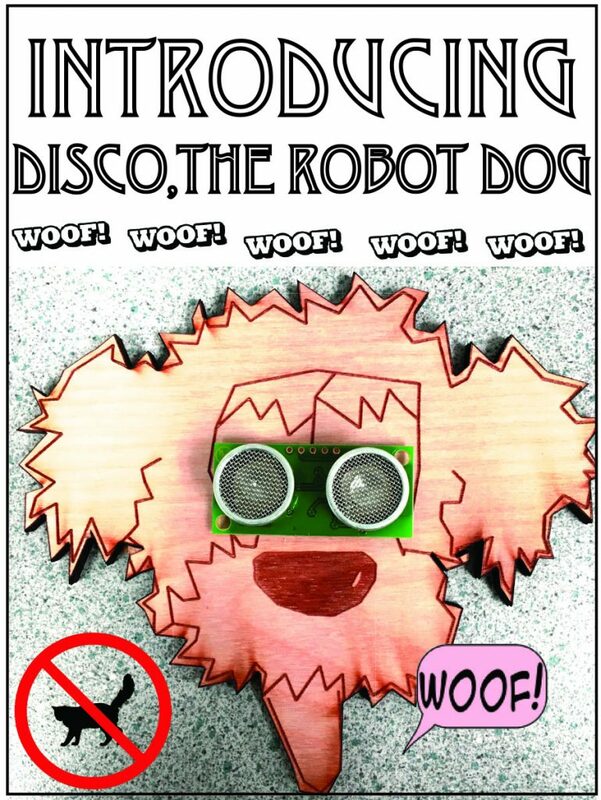 Disco is currently being operated on to get a body upgrade complete with a wagging tail, an on/off switch, a voice control system that will bark at students, an ultrasonic sensor SRF04 that detects the distance between Disco and other objects and a fully enclosed body. Here is a little bit of how Disco was born. 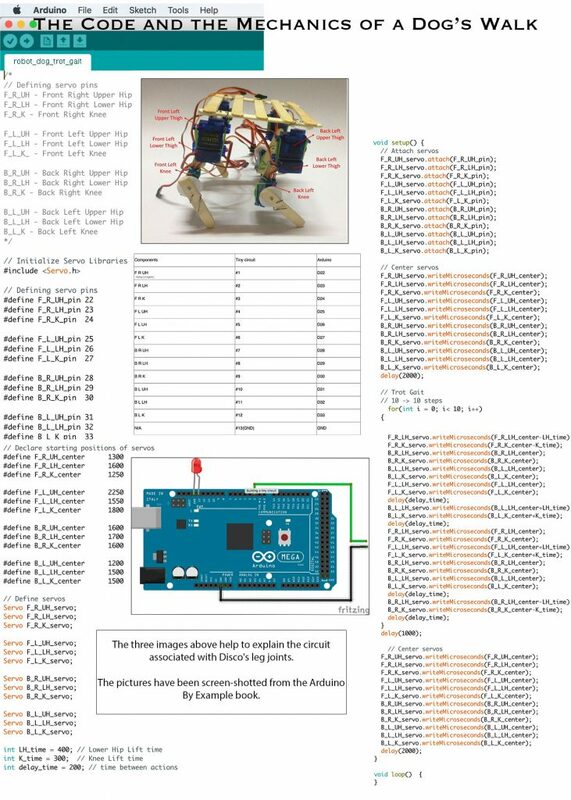 We did a little googling and found that there are many versions of robot dogs all across the internet, but we decided on using directions from a project book called Arduino By Example by Adith Jagadish Boloor. I have since innovated and deviated slightly from the project book. All of the code is open source and accessed through Packt Publidhing if you have a Temple University account. 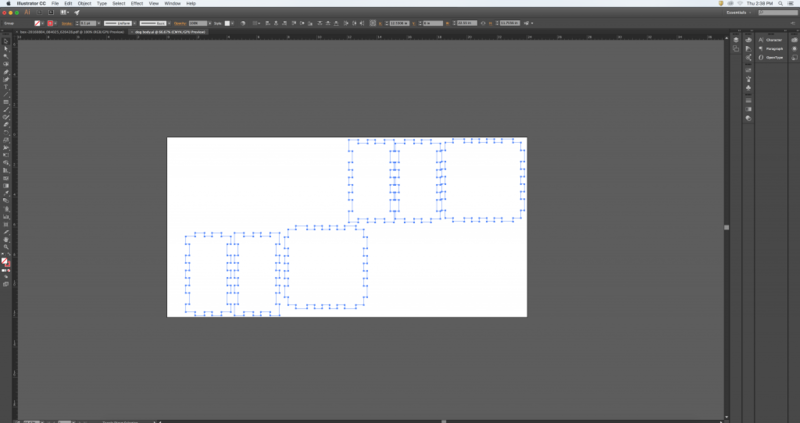 To print out Disco’s body upgrade, I used a free website called MakeCase where you can type in the dimensions and the thickness of your material, and then it gives you free svg files that you can laser cut very easily. The box fits perfectly together and only took 5 minutes to print. 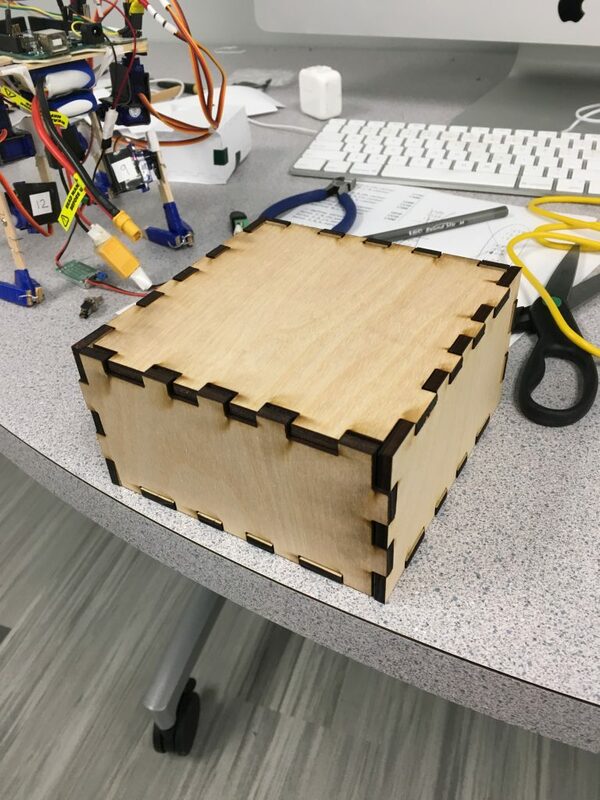 However, the material I used for Disco’s body (1/4in Birch Plywood) was too heavy, so I will need to find a lighter material to house the circuits (most likely cardboard). 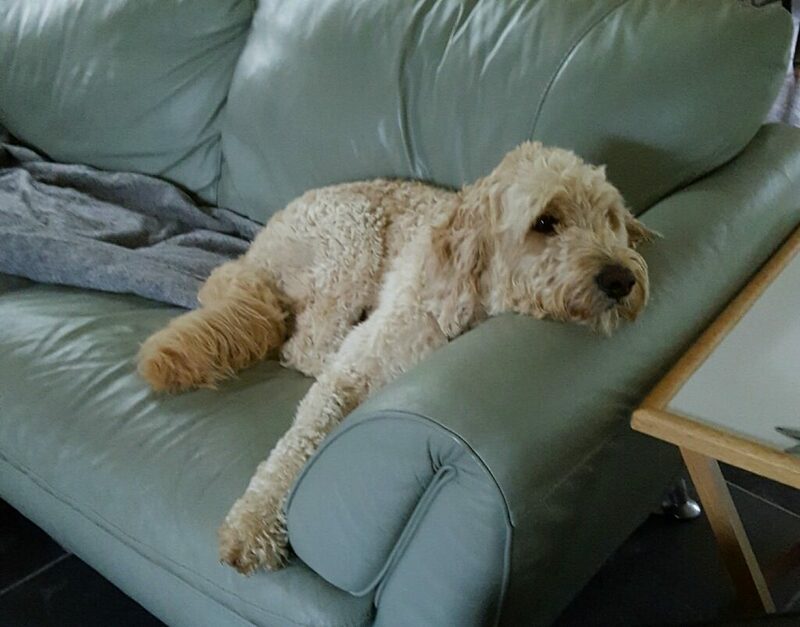 The inspiration for Disco’s face came from my Goldendoodle, Misty.